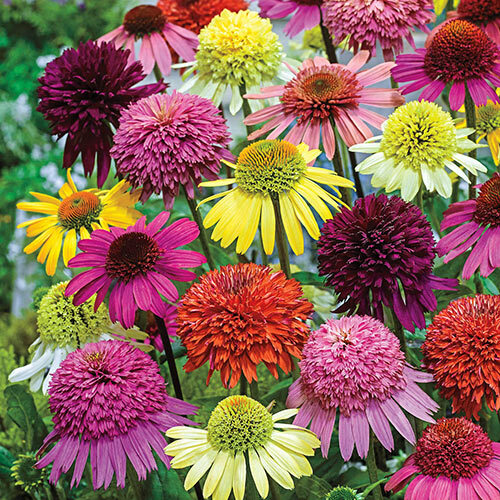 Coneflowers from all walks of life gather to put on the garden performance of a lifetime. 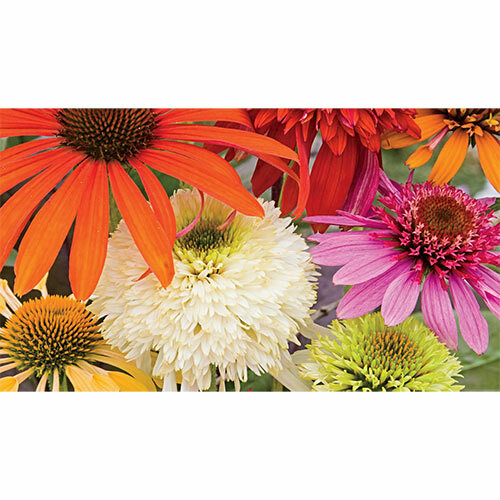 A delightful mix of double and single flowers from rich purple and pink to orange, yellow and white. Add to the perennial border or mass planting for maximum impact! Echinacea blooms act like magnets to both butterflies and bees. A bird lover's delight as the full seedheads attract chickadees, goldfinches and many more. 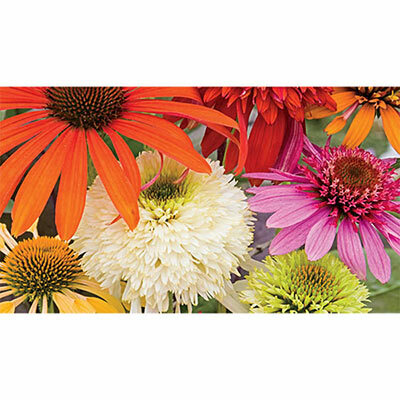 Echinacea are also a welcoming sight indoors as lively, long-lasting bouquets. Drought and heat tolerant. Top of plant even with soil level or slightly above.